South-west from Madurai there is granite hill rising like an enormous elephant 300 metres above the surrounding plain and visible far away. Here is located one of the most sacred Tamil Hindu shrines – Murugan Temple in Thiruparankundram. Temple consists of more ancient rock-cut parts and newer constructions in front of them. Thiruparankundram is one of the six main pilgrimage sites for the devotion of the son of Shiva – Muruga (also Subramanya), Tamil Hindu god of war and patron of Tamil Nadu. Story goes that Muruga with his troops rested here after one of his famous six battles against demons. Finally he saved Heaven by defeating the evil rakshasa Soorapadman and returned to Thiruparankundram Hill followed by all the liberated deities. At this beautiful hill, where opens wide view on the lively landscape of Tamil Nadu, in the temple he married Devasena (Deivayanai), daughter of Indra given to him as a gift for victory. Marriage took place in the presence of all deities. Since there have happened such important events, Murugan Temple in Thiruparankundram became one of the most revered shrines in Tamil Nadu. Up to this day Tamil people readily marry here. Especially many pairs get married in festival of marriage – Pankuni Uttiram – in late March. Temple leads very active religious life with numerous festivities and Thiruparankundram for most part of the year is teeming with life. As if there is not enough importance and reverance, on the top of hill there is also a Muslim shrine devoted to Sekunder – Alexander the Great! Local Muslims consider that Alexander the Great was the friend of King Murugan. Thus Thiruparankundram is a place where both Hindu and Muslims go well along. 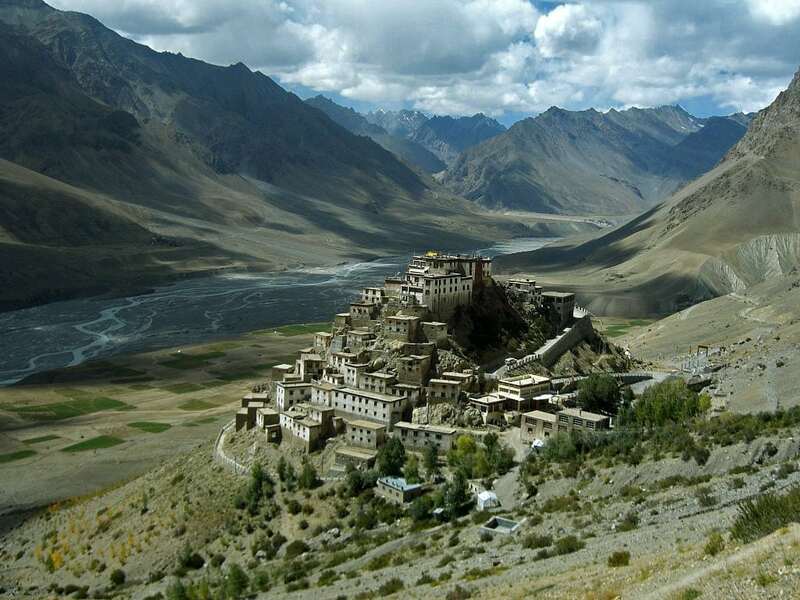 According to another tale King Harichandra worshipped Shiva from this hillock and gained eternal wisdom. Thus he built a temple here – temple was complete with Praharams (ambulatories), walls, Gopurams (gate towers) and steps. The "real history" (who can differentiate myths and reality in Indian past?) of the temple may start with the 8th century AD when Pandya rulers built rock-cut temple. 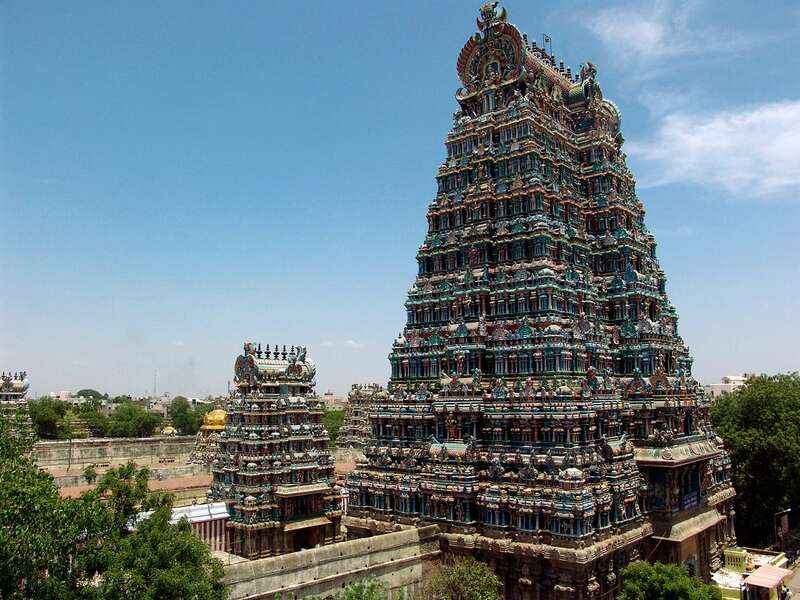 Later, during the reign of Nayaks of Madurai (1559 – 1736 AD) the temple was supplemented with beautiful gopurams and beautified. There was built extensive and beautiful front part (mugha mandapam) with 48 ornate pillars carved during the rule of Pandya and Nayaks. Presiding deities of the temple are Lord Muruga and Goddess Devasena. Other deities – Shiva, Vishnu, Durga and Ganapathy – are represented as well. Entrance in the ancient cave temple leads through a row of massive square pillars ornamented with lotus-shaped medallions. Inside the cave temple there has been preserved ancient painting of Nataraja – dancing Shiva. Cave temple contains also the sculpture of presiding deity Sri Subramaniyaswamy (Muruga). Rock-cut temple contains also 41 inscriptions revealing the early history of the temple. Before the ancient rock-cut temple there is built front part – mugha mandapam. Separate entrance leads into Sani Bhagawan – another shrine in this temple. In the western side there is rock-cut chamber which houses the lingam but in the eastern side there is one more shrine with Vishnu and Durga opposite to him. Temple contains many more carvings of deities. In the south-eastern part of Kambaththadi mandapam there has been found a 30 m long tunnel. Temple contains also two historical wooden carts which are used for ceremonial purposes in certain proccessions. Sri Subramaniya Swamy Temple. Accessed the on May 11, 2010.